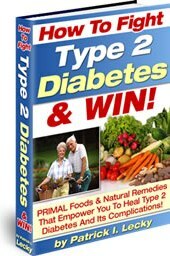 If you are like the many millions of American’s who have been diagnosed with diabetes then you should know that your health and longevity will be greatly affected by the effort you put into taking care of yourself. If you are lazy in addressing your needs then you will be more likely to suffer more serious diabetes complications and your life expectancy will be stunted to say the least. Of course most people have a will to live long and are willing to do what it takes to maintain their health and for most people this means jumping through all the hoops and pains to manage blood sugar levels to the most intricate detail. Most diabetics know what foods they can and can’t eat and they know what times of day their blood sugar is most vulnerable. These however are the easy steps to take in managing blood sugar. The hard part is the physical stuff like exercise. The most widely known way of treating diabetes and minimizing the complications of the condition is to keep your blood sugar under control however a lesser known fact is that the best ways to do this are to get more exercise. Yes, watching what you eat is vital but staying active and keeping your weight down through exercise is paramount to any diabetes management program. As any person living with diabetes should know the areas of your body most at risk for long term damage due to your condition is your feet. Diabetes has a way of making exercise hard to do especially as the condition gets more serious. That’s why practicing the best diabetic foot care as early on as possible is so important. Practicing diabetic foot care comes down mostly to two things. You have to keep the blood pumping through your feet and you need to watch your feet for signs of injury and take the proper steps to clean wounds and deal with injuries as quickly and deliberately as possible. The reason why diabetics have so many troubles with their feet is because of neuropathy in feet and in the lower limbs. More than any other part of the body a lifetime of elevated blood sugar levels damages the nerves and blood vessels in the. Neuropathy of the feet causes your feet to lose sensation making you more prone to injuring your feet. At the same time diabetes decreases the blood flow to your feet as small capillaries close and circulation in the region gets poorer and poorer. If you understand what diabetes does to your feet then you can understand what proper diabetic foot care entails. It’s actually quite simple and logical. Diabetic neuropathy causes more foot damage so you have to be vigilant in identifying foot injury as early as possible. Most diabetics practicing the best foot care possible check their bare feet periodically throughout the day or before they go to bed at night looking for cuts, bruises, blisters, or any other kind of foot sore. When these wounds are identified they are addressed immediately. Wounds are cleaned thoroughly and antibacterial should be applied. You never want a diabetic foot injury to be left untreated because poor foot circulation can make it much more difficult for your body to heal. You don’t want to increase your chances of getting an infection and you don’t want to keep using a bruised or broken foot simply because it doesn’t hurt as much as it ordinarily would. People with diabetes are always in need of staying active. It helps dramatically in the maintenance of the diabetic condition and as we all know your feet are usually the most important part of your body when it comes to basic exercise. You walk and run on your feet. You need your feet to play sports. Your leg muscles are the largest in your body and they are the best to work out if you want to burn calories. If you plan on staying active you need to ensure your feet do not get injured and that when they are injured the wounds or injury is treated swiftly and correctly. Make sure to always wear the best diabetic shoes for the activity you are taking part in. They make diabetic shoes for just about everything including diabetic walking shoes, and dress shoes, and everything in between. Also make sure to wear diabetic socks at all times. These socks are designed to promote healthy blood circulation and to minimize pressure points on your foot which could lead to sores and blisters. Proper diabetic foot care requires a constant protection on feet as well as careful monitoring of one’s feet. Every day, at least once, if not more often, make sure to inspect your feet in great detail for wounds or injury. If anything is found out of the ordinary make sure to take care of it immediately. Open wounds need to be thoroughly cleaned and disinfected and internal damage such as stubbed toes, cracked bones, and bruises need to be treated accordingly. If a doctor’s visit is required to fix the foot it should be made a top priority and if a bruise exists you really do need to rest the foot so that complete healing can take place as efficiently as possible. Your feet are your best way of managing your diabetes after you take care of your blood sugar levels and diet. Practicing proper diabetic foot care is not complicated and it’s easy to understand so make sure to make it a priority in your life as you live with diabetes.